How to Order / Pay? How and Where we Deliver? 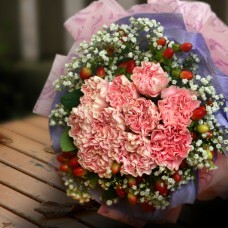 Sending Valentine Day flowers is just not about sending flowers but sending your love, your heart to the one your love. So to ensure that your loved ones receive it on valentine's day please place your order by 12 Feb 5pm (Malaysian Time) . Please note that orders received from the period between 11th till 15th feb must be ordered in our Valentine's Day Category. This is because prices from local and overseas suppliers are normally increased during this period and prices are adjusted accordingly. 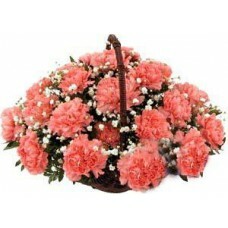 18 Stalks of Pink Carnations Arranged in a Basket All99.com flow.. 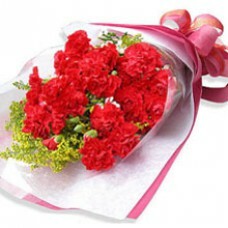 Remind someone you love that you will never forget them by sending a hand bouquet of 12 st..
A vibrant arrangement of a hand bouquet of 12 stalks of Red Carnations ..